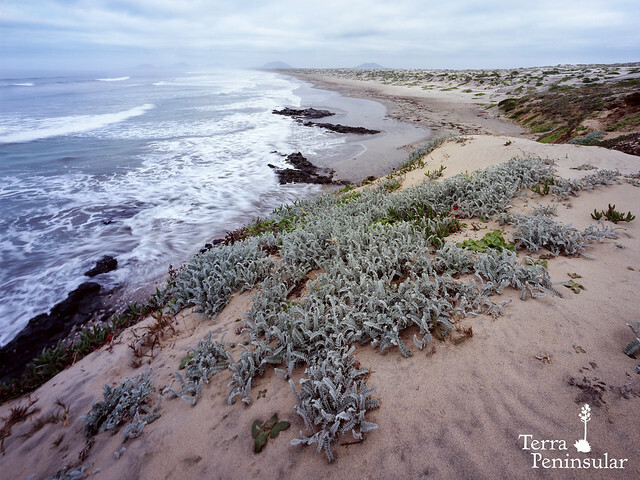 In 2018, Terra Peninsular dedicated most of the efforts in the formulation and the undertaking of the firsts steps of the project of coastal dunes ecological restoration in the Punta Mazo Nature Reserve. 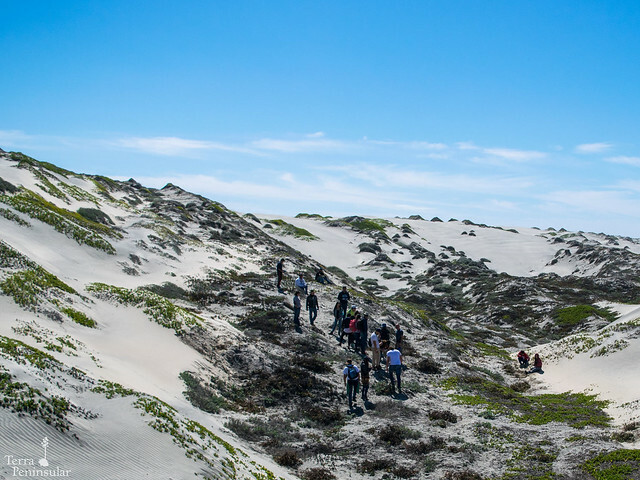 Coastal dunes are an ecological system of higher importance that bring several ecological attributes, ecosystem goods and services. This ecosystem is home of a lot of different species of flora and fauna, among them a few endemic species and some others considered as a priority for conservation. It acts as a protection barrier which oppose the effects of swell and floods (Ranwell y Boar, 1995; Alcamo y Bennett, 2003; Seingier et al., 2009). It works as a storage of sediments, it is a zone of recharge for the aquifers and reduce the intrusion of salted water (Martínez et al., 2004 y Yetter, 2004). In addition, coastal dunes offer an extra benefit, the beauty of the landscape. Dunes are attractive for the human eye and offer an element of admiration and appreciation. In general, coastal dunes in the nature reserve have maintained a constant change since 1973 (Ocampo, 2011). This change is a huge inherent measure to the natural dynamism of the coastal dunes. However, there are more factors that catalyze this change, like climatic phenomena. In addition, dunes are facing the menace of the invasion of exotic and invasive species, which endanger the biological diversity of the dunes because they remove native species. The same way, the anthropogenic impacts, like the passage of powered vehicles, is destroying the unique plant coverage of this system. It is important to detail that the natural dynamism of the coastal dunes define it as a system resilient to the change. However, the substantial modification of the coastal dune by anthropogenic (human action) or natural forces, can lead to the affectation of the biological diversity of the dunes, and the loss of the ecosystem goods and services that it offers. Attributes, goods and services of the coastal dunes of Punta Mazo are given, in the first place, to the local producers and the neighboring communities of the reserve. The modification of the integrity of this natural system, put in a risk at the same time the lifestyle and integral health of the local people who surround the Punta Mazo Nature Reserve and its coastal dunes. In other words, it exist a direct and narrow relationship between coastal dunes and the sustainable development of local populations. The conservation of the dunes is a priority for the managers of the natural reserve, but also for the local inhabitants and producers. According to that, we designed a strategy which will allow us to deal with the issue of the presence of the exotic and invasive species and the large amount of paths, but also which will allow us to involve the local communities through a participatory process in the projects of the ecological restoration of the dunes. To date, we have conducted different interventions in Punta Mazo, in which we succeeded to remove nearly 60% of the total coverage of Carpobrotus edulis, we have closed several old paths, and choose special areas for the restoration of lost vegetation. Yetter, J.C., 2004. Hydrology and geochemistry of freshwater wetlands on the gulf coast of Veracruz, México, University of Waterloo, Ontario, Canada, 168 pp.